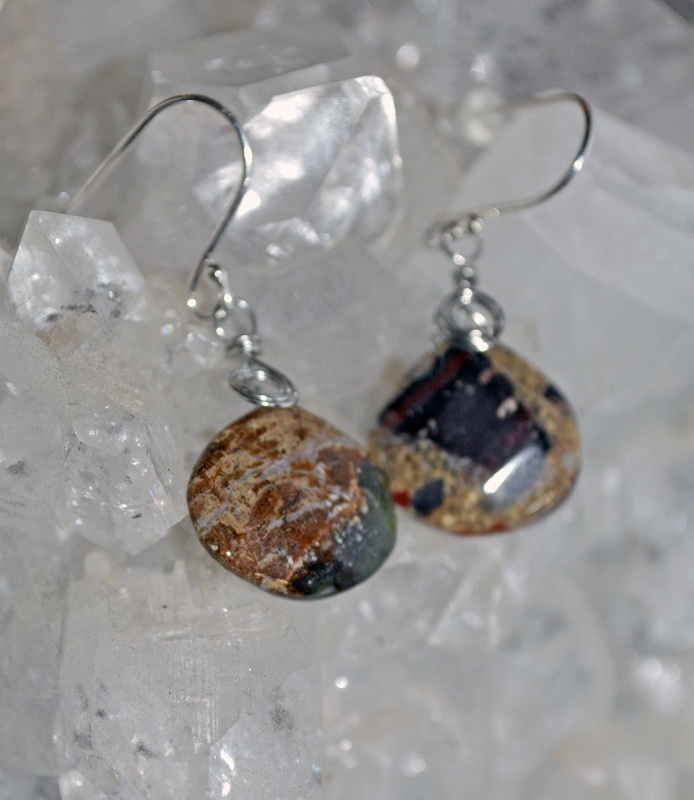 Our stones are a wonderful mix of old favorites and new mineral finds in fantastic unique shapes and colors. 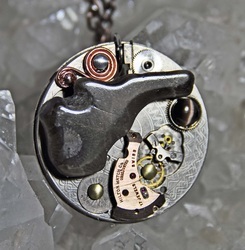 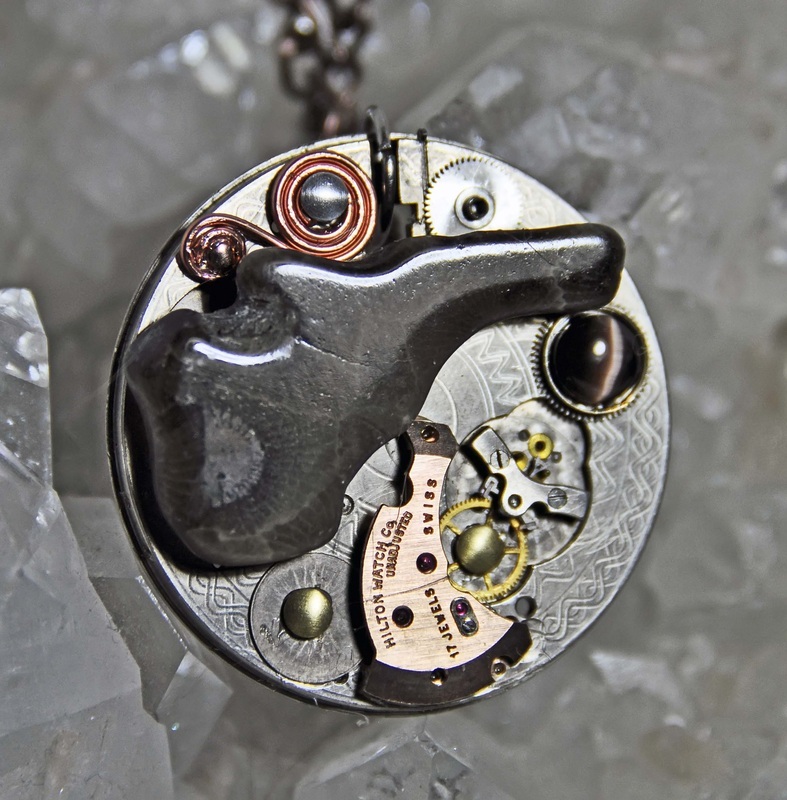 We are always on the lookout for different and unusual stones. These are very fashion foreward with wonderful colors and as with all natural minerals and gemstones, they very from stone to stone which makes them all timeless and interesting...and stones will last for generations to come.....All earwires are surgical steel unless otherwise stated and we can put clips on the earrings if you do not have pierced ears. 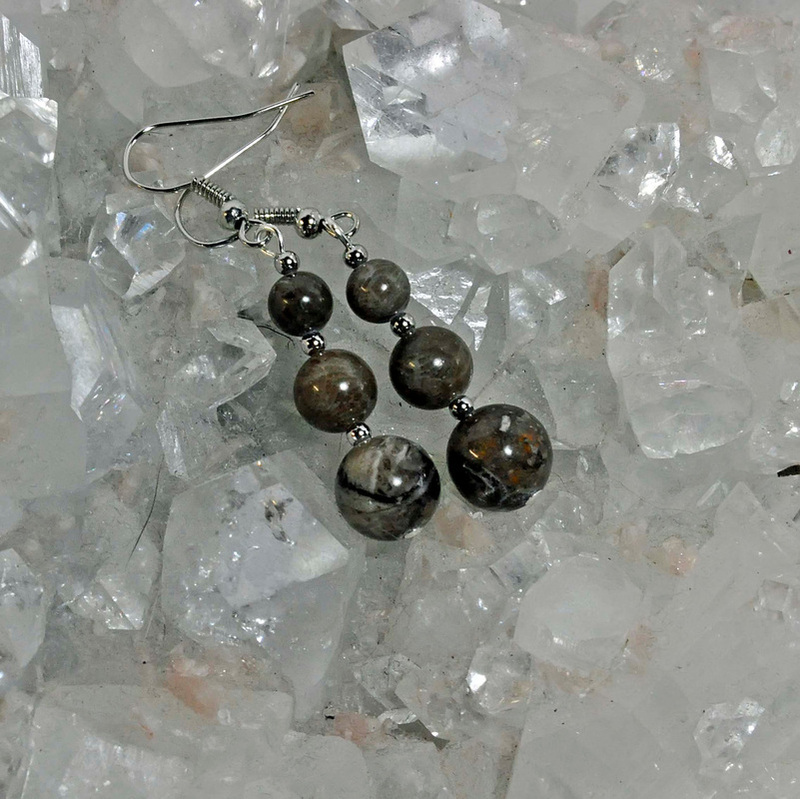 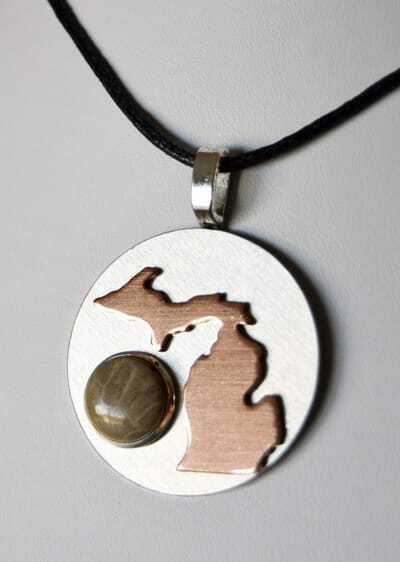 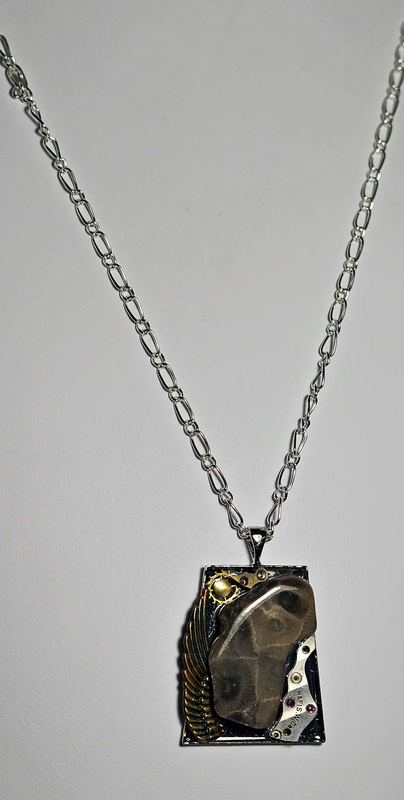 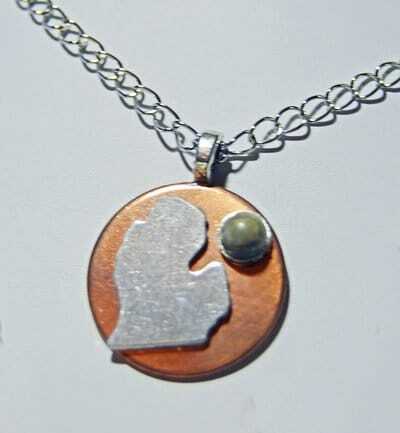 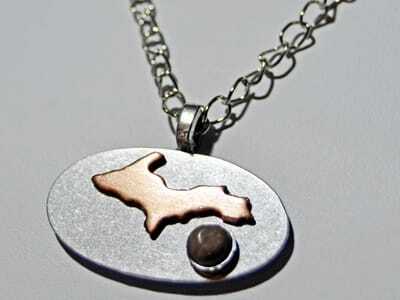 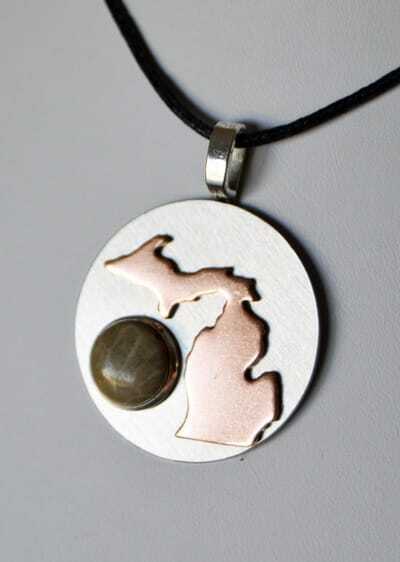 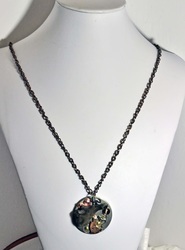 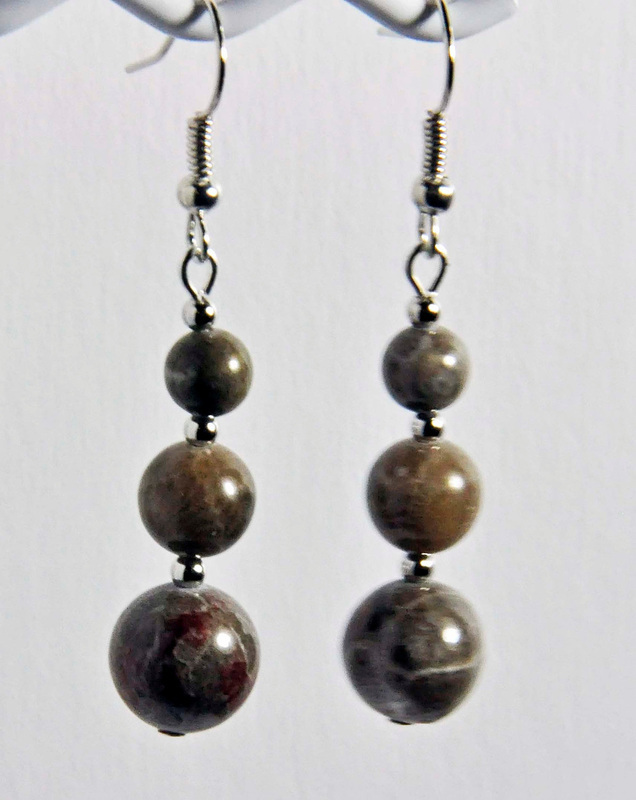 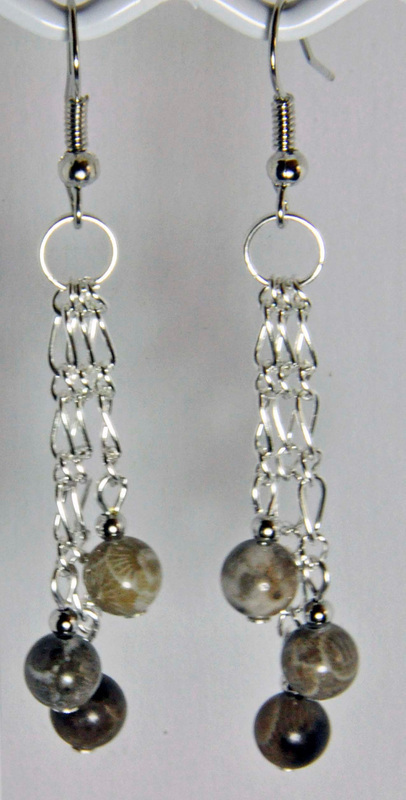 Please enjoy picking out that special gift for yourself or someone else from our fun collection. .
Michigans State Stone: "Petoskey Stone" aka Hexagonaria Fossil. 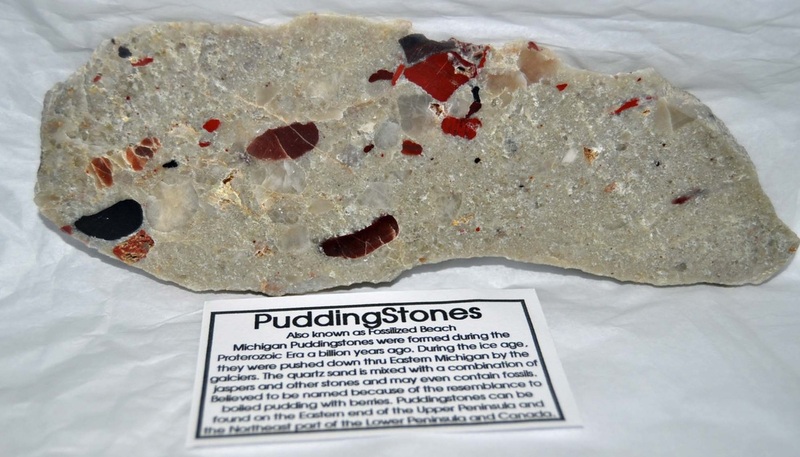 This interesting stone is a variety of Calcite formed by fossilization of ancient coral. 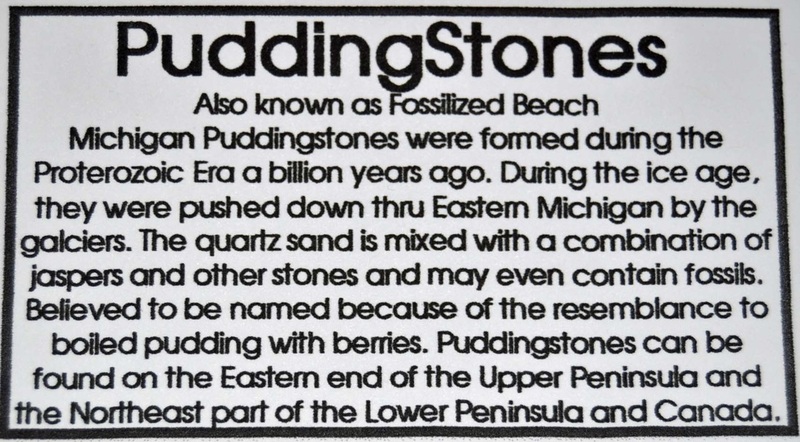 The coral lived in shallow waters, These Devonian age fossils are found in many areas in Michigan as well as other fossil beds worldwide. The honeycomb patterned stone is the official Michigan State Stone. 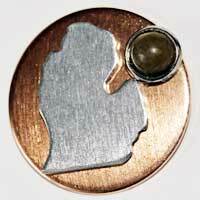 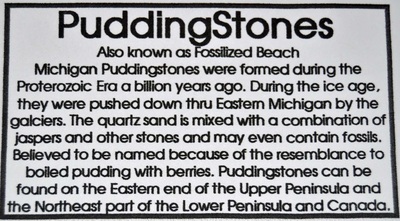 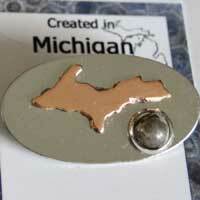 We enclose a Petoskey stone Information card. 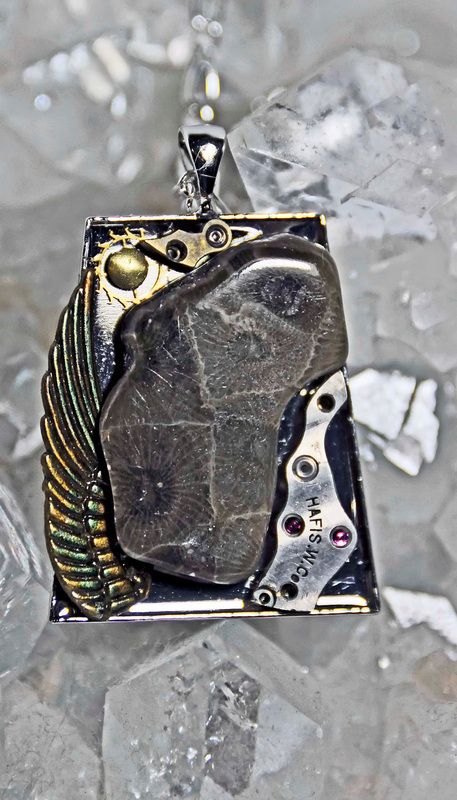 Each piece we create is one of a kind. 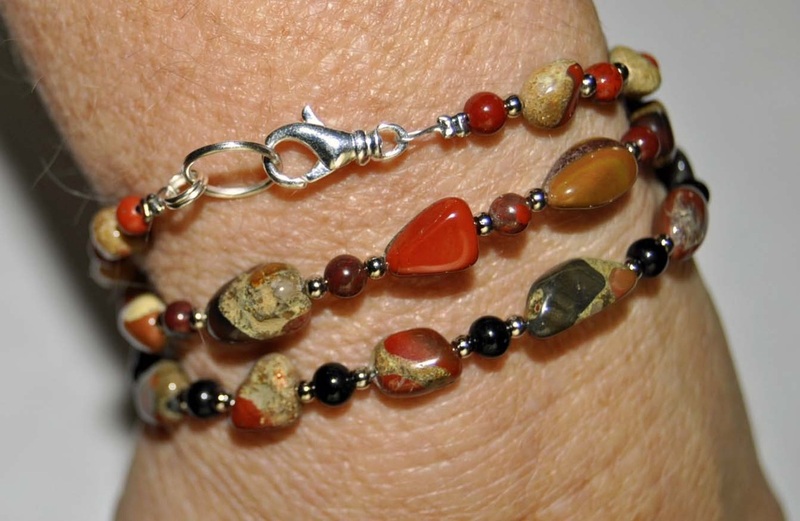 Beautiful Michigan gemstone bracelets with Puddingstone combined with Jasper stones, Each one is different and has silver spacers and a silver lobster claw clasp. 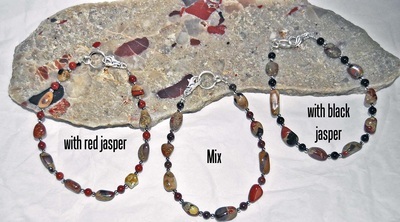 all the stones are beautiful. 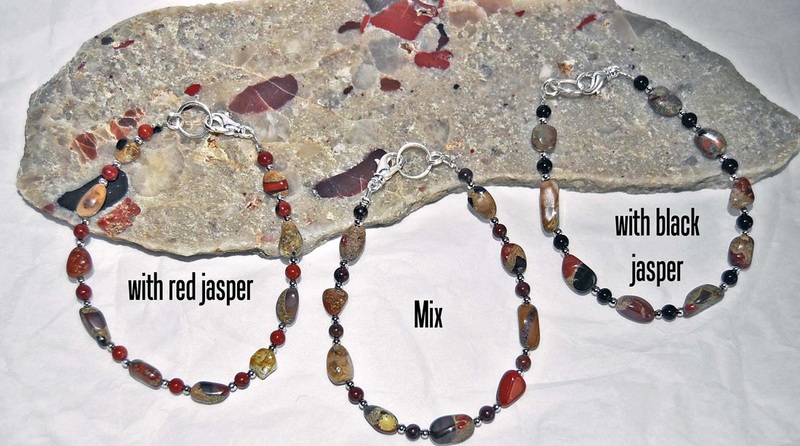 Just let us know the size you need and if you want black , red, or a mix of jasper with your puddingstones.